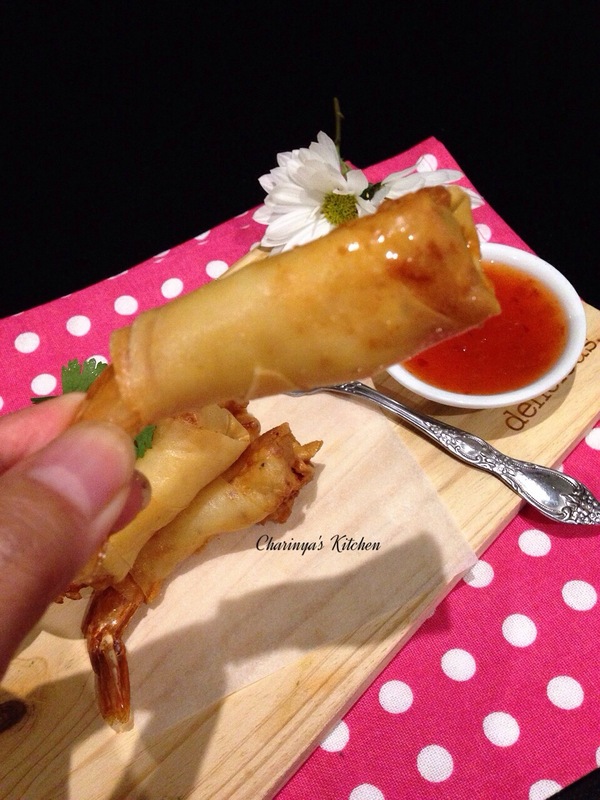 This is probably the easiest Thai entrée’ I have ever made. It was really fun to make and also looks elegant and tasty. I really encourage you to try to make it in your kitchen. Prawns, peeled and deveined . Gently cut them open to ensure the seasoning is placed inside. 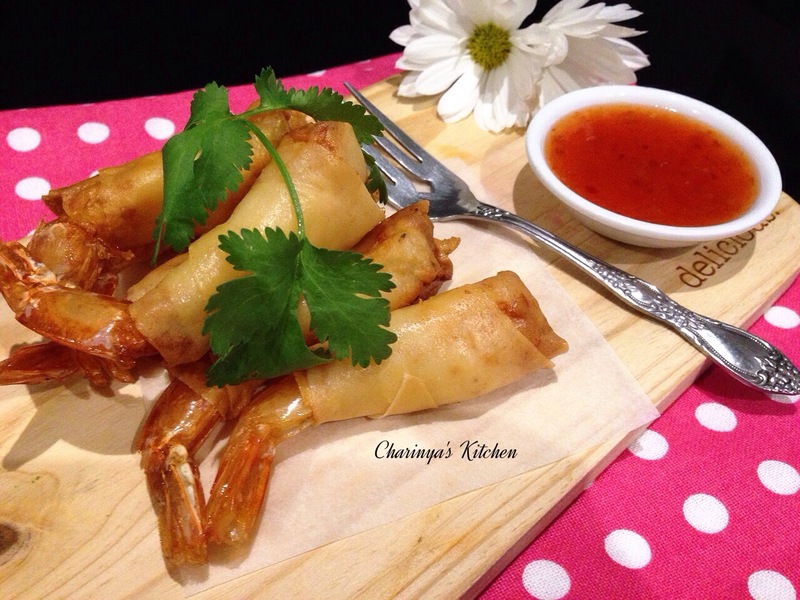 Each prawn makes 1 spring roll, so use as many you like.